What is the JR East-South Hokkaido Rail Pass? The JR East-South Hokkaido Rail Pass is a special discounted pass available only to travellers visiting Japan and holding a non-Japanese passport. The flexible pass is available for use on any 6 days within a 14 day period and available in ordinary class only. It allows unlimited rides on the JR Hokkaido Lines and on JR East Lines, even on the Shinkansen and limited express trains, within the valid area. Convenient for travel from Narita or Haneda Airport to Tokyo and from New Chitose Airport to Sapporo. Leave the city behind and visit the stunning scenery of Tohoku and southern Hokkaido. 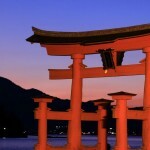 Take a little adventure to East and North Japan. There is only one type of JR East-South Hokkaido Rail Pass. The JR East-South Hokkaido Rail Pass is available for flexible use on any 6 days within a 14 day period. Prices are subject to exchange rate fluctuations. Local pick-up from our office in Melbourne is available. We’ll contact you once your JR East-South Hokkaido Rail Pass is ready. Priority post with tracking is available for $3 extra (delivery estimated between 1 – 3 days). Express Post is available for $7 extra. Registered Post (person to person) is available for an additional $11.30. *We are not liable for lost or misplaced passes. You can purchase a JR East-South Hokkaido Rail Pass Exchange Order before you go to Japan. It is cheaper to do so. Upon arrival in Japan, you need to turn in the JR East-South Hokkaido Rail Pass Exchange Order to receive your JR East-South Hokkaido Rail Pass at a JR train station that has an exchange office. We will provide you with a list of applicable stations. At the exchange office, you will be asked to fill in a short application form and to show your passport with the ‘Temporary Visitor’ stamp/sticker you received on entry into Japan. Your Exchange Order must be turned in for a JR East-South Hokkaido Rail Pass within three months of the date the Order was issued. After turning in your Exchange Order for a JR East-South Hokkaido Rail Pass, you can make seat reservations at a “Midori-no-madoguchi” Reservation Office. Who is eligible for a JR East-South Hokkaido Rail Pass? Australian residents travelling on a Japanese passport are not allowed to purchase the JR East-South Hokkaido Rail Pass. If you have both a Japanese passport and a passport from another country, you must enter Japan using the non-Japanese passport on a ‘Temporary Visitor’ status to be eligible for this pass. The JR East-South Hokkaido Rail Pass cannot be purchased if the period of stay in Japan noted in the passport is shorter than the validity period of the pass. Where can I use the JR East-South Hokkaido Rail Pass? Local and rapid trains between Shimo-imaichi and Tobu-nikko/Kinugawa-onsen on Tobu Railway Lines. Between Kurihashi and Shimo-imaichi Stations, the pass may be used only on limited express trains that connect directly with Tobu Railway Lines. The JR East-South Hokkaido Rail Pass may only be used for Tobu Railway Lines as long as either the departing or destination station is on a JR line. The Tokaido Shinkansen as it is operated by a different rail company. Should I buy a JR East-South Hokkaido Rail Pass? If you are wondering whether a JR East-South Hokkaido Rail Pass is worth it, we’d recommend you have a look at your itinerary and do a quick search on the costs of each train journey you intend to take when you travel to Japan. There are two sites that you can use to search for both JR and non-JR train timetables and the prices of your journeys. The first is Hyperdia and the second is Jorudan. Use both sites to ensure that you get the most accurate information to help you to determine if a JR East-South Hokkaido Rail Pass is right for you, or whether you should just buy your train tickets when you need to use them. 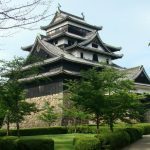 When you organise your package tour of Japan through us, we include the best Japan rail pass or area pass to match your itinerary. 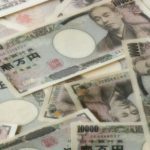 How much cash should I take to Japan?